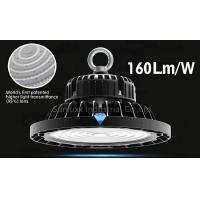 Diamond Die Cast Aluminum Shell High Bay LED Lights use professional water wave lens design,and the light transmittance can be reached 95%. 1. 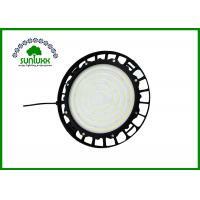 Nichia Led, Meanwell driver or LEDs. 3. 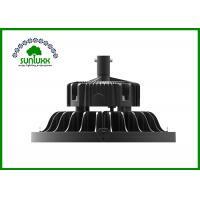 Whole die-casting forming heatsink good appearance, excellent cooling effect. 4. 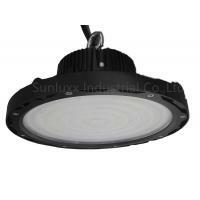 Easy installation, saving much labor cost. 5. 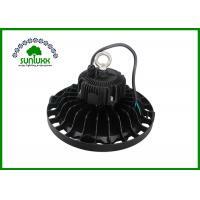 With certifications: CE, RohS,SAA. 6. 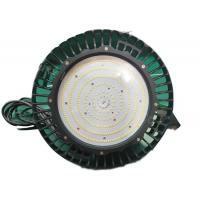 Long lifespan 50,000+ hours and 5 years warranty. 1. 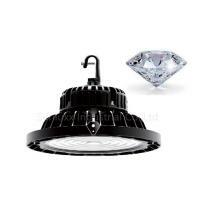 Are these LED High Bay Lights can be with Microwave sensor and dimmable function? 2. 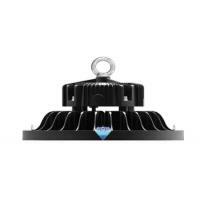 How to install it,Are these UFO LED Lights installing very complicated? No,It's very easy to install,Normally,we have three installation ways:Chain Mount,Pole Mount,Surface Mount with Bracket,It's depend on your real application.And for detailed installation,we will send you the professional operation manual once your have the order to us,and also,The manual will be put in each Carton before the delivery. Normally,Samples order is 5 work days,Bulk quantity order is about 15 work days. 4. Is it OK to print my Logo on the product? Yes,Please confirm it with us formally before the production and we will advise you how to procced it,Normally we will check one sample and print your Logo in the sample for your confirmation before the production. 5. 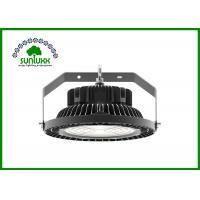 Why your HBL series LED High Bay is so hot sale but the price is not inexpensive? 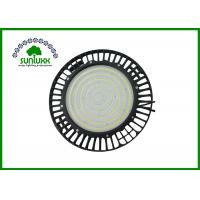 Because we have used superior material especially LED chips and driver for the lights,After test by material Suppliers,we still test them again in our laboratory so that make sure it's real high quality meet with our strict purpose.That's also why the prices cost is not inexpensive anyway.We have sold this type lights more than four years,and actually we have not received any complaints about our LED Warehouse High Bay from our customers until now. For more testing details,Please kindly contact our Sales representative,They would love to offer these files to you.